I’m excited to announce brand new community forum to seed brainstorming and ideas around motor control related projects. 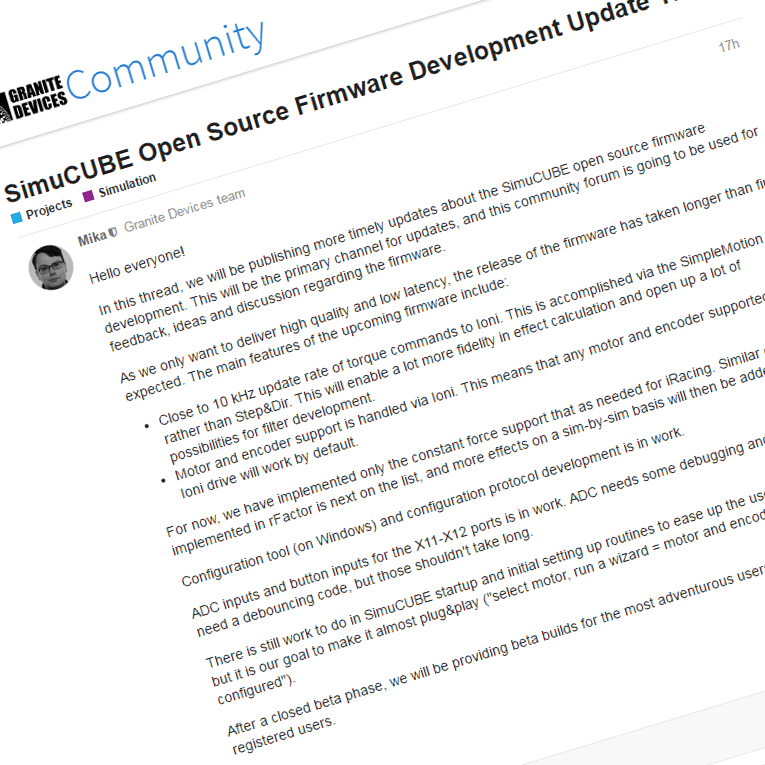 The community forum is the first-hand media to get the latest updates of motor control development. First 50 community members will be given an exclusive access to a private SimuCUBE’s beta testing forum. They will be the first ones to get to test-drive the beta when it’s released.